A Northwestern University team has developed a new treatment for diabetic foot ulcers, a severe and potentially deadly complication of diabetes. Called a “regenerative bandage,” the novel material heals diabetic wounds four times faster than a standard bandage and has the added benefit of promoting healing without side effects. The study was published online in August 2016 in the Journal of Controlled Release. The release explains that diabetes can cause nerve damage that leads to numbness in the feet. A diabetic person might experience something as simple as a blister or small scrape that goes unnoticed and untreated because they cannot feel it to know that its there. As high glucose also thickens capillary walls, blood circulation slows, making it more difficult for these wounds to heal. It’s a perfect storm for a small nick to become a life-threatening sore. Ameer’s team included Yunxiao Zhu, a PhD student in Ameer’s laboratory, is the paper’s first author. Northwestern Engineering’s Hao F. Zhang, associate professor of biomedical engineering, and Feinberg’s Robert Galliano, associate professor of surgery. 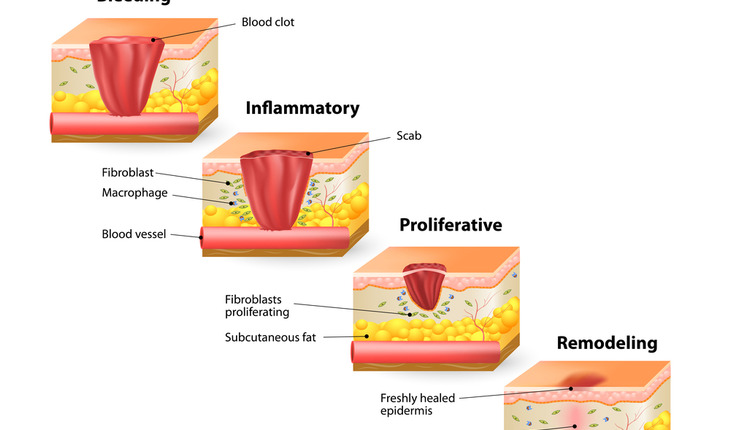 The collaborators imaged diabetic wounds to discover that they were much healthier after application of the regenerative bandage. The blood flow to the wound was significantly higher than in those without Ameer’s bandage.